I must say I am a little surprised to see Army of Darkness at the top. I know it has a large cult following, but I didn’t fall in love with it like I did Evil Dead 1&2. Also interesting to note that Oz the Great and Powerful is already receiving votes — guess I should check that one out, eh? This Week’s Poll: Now here’s a question I am surprised I didn’t ask before. It’s another pick two: What is Alfred Hitchcock’s best film? I could have easily went with a pick three or four here due to the size of the man’s filmography, but we’ll stick to the usual. What will you be voting for? The newly-christened “greatest film of all time”, Vertigo? The timeless horror classic, Psycho? How about often-overlooked classics like Notorious or Rope? Let’s hear your thoughts! I voted for Spidey-2, so yay! I really thought Army of Darkness would win by a landslide though. Wow, really? I had this pegged as a tossup between Spider-Man 2 and The Evil Dead. It was close! Oh I meant Evil Dead sorry, yeah I thought that one would’ve won but glad Spidey 2 got some love, that’s my fave of the trilogy. I love Alfred Molina as Doc Ock. Sadly I haven’t seen Spider-Man 2! I know everyone loves it, but I just never got around to it. Guess I should check it out (and avoid Spider-Man 3, judging by the lack of votes). Yes, avoid Spidey 3 but Spidey 2 is definitely worth a look! Rear Window is my favorite. After that, a lot of them vie for attention… Maybe it’s just my thing for Grace Kelly, but I really loved Dial M for Murder. Vertigo, Psycho, and North by Northwest are all close behind. Grace Kelly is just… I have no words. Love her collaborations with Hitchcock. I think Dial M for Murder gets overlooked a lot, but I would put it up there among his best, too. Also: I’m surprised Evil Dead 2 came behind both other Evil Dead films. I always think 2 is the perfect blend between the horror of the first and the goofiness of the third. Agreed. The second film is a nice bridge between the two. Guess more people are fans of the overall absurdity of the third though. Damn I guess I really need to see Army of Darkness 😛 In the new one I voted for Psycho and Vertigo. I think Army of Darkness is a movie that you will either love or hate. It’s *a lot* different than the Evil Dead films. Ooooooh. Now thats a tough one. Thankfully, you let us pick TWO! Haha yeah, two is the bare minimum I could allow for this one! Two excellent picks right there, my friend. Hahaha it shocked me too! I can’t vote on my phone but I’d go with Vertigo and Rear Window, though Hitchcock has made many great films. Nice ones — hope you make it back to vote! I also thought ‘Evil Dead’ would crush. When it comes to Hitch, there’s so much to savor and choose from. ‘Rope’ from 1948. Basically a stage play brought to life by filming it one act at a time. With no breaks or ‘Cut!”s. The film was in the canister and the scenes played out until the canister was empty. Very brave, bold and unique for its time! ‘Psycho’. A superbly executed great, great granddaddy of today’s ‘Slasher’ films. Done with exceptional style and panache. Hi Jack, yeah it’s tough to narrow down this one to just two films. Glad to see you are also a big fan of Rope! That’s one of my personal favorites as well, and it seems to be overlooked quite a bit when talking about Hitchcock. I certainly like Army of Darkness but I’ve always considered the least of the Evil Dead trilogy. Same here, Dave. I can see its appeal, but it just doesn’t compare. Evil Dead for me! All day long! If I’d have caught wind of this earlier, I would have pushed Spidey 2 over the top. I’ve actually seen most of his work barring A Simple Plan, Quick and the Dead, and a couple others. I tend to see Evil Dead II as the remake of I, although I cannot live without both films for some reason. Army was just pure awesomeness. Can’t wait to see Oz. Voted for Birds and Psycho on Hitchcock poll. Yeah, it’s fun to watch both Evil Dead films back-to-back. Both are great in different ways. 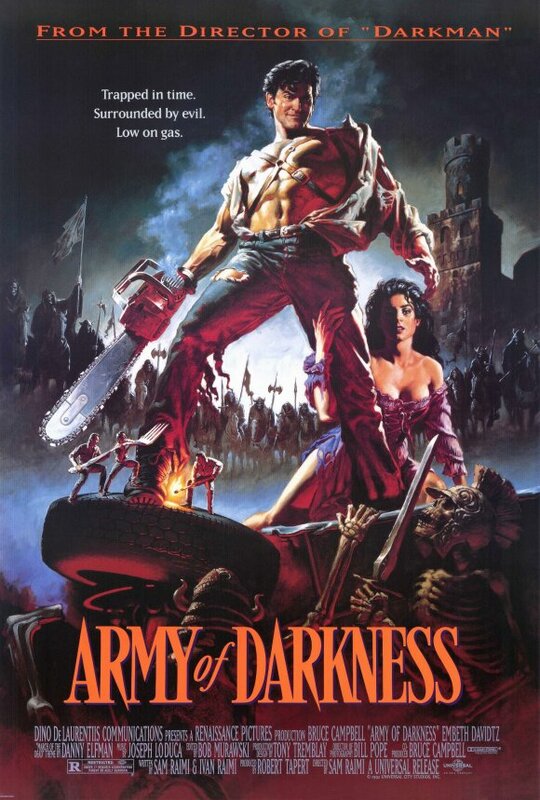 I wasn’t as big of a fan of Army of Darkness but I can see why a lot of people love it. I’ve never seen Army of Darkness! Will hunt out asap. My vote went with the Evil Dead 2 🙂 great poll! I’ve still got a lot of Hitchcock to see, but I’m picking Vertigo and North by Northwest. Two excellent picks. Thanks for voting! 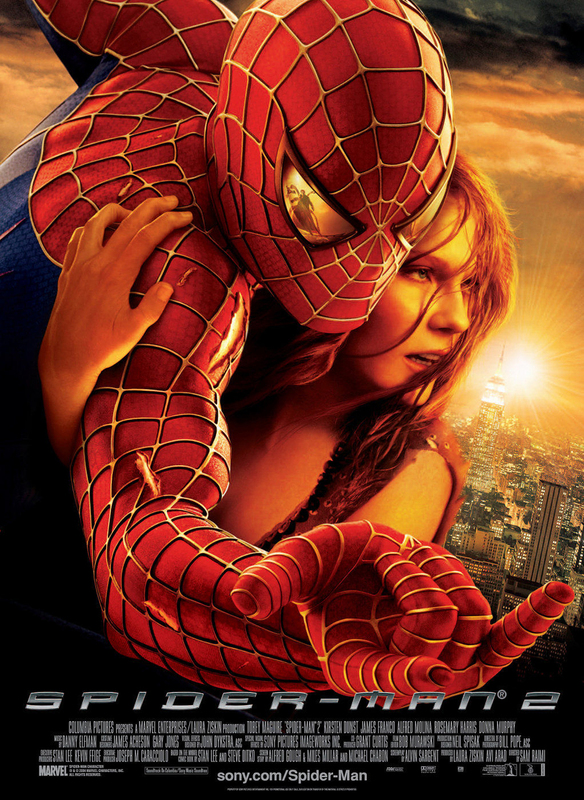 No votes for Spiderman 3? Where are all the emo spidey fans? Hahaha. All the hate for that movie has me strangely curious to check it out. Ugh, I hated Army of Darkness haha. As for Hitchcocks best film, my vote goes to Rebecca. I still need to see Rebecca! I did include it in my project, so I will finally be catching it sometime soon. Hitchcock films are one of those things that I have promised myself that I need to see more of. Voted for the couple I have seen – Psycho and The Birds. The Birds was one of the most terrifying film experiences when I was a kid. Haha, I remember watching The Birds in high school and thinking, “oh great, this is going to be some cheesy old horror flick.” I ended up loving it — scared me quite a bit, too!